In the early 2000s, Chad Ritchie was on active duty with the Navy in Virginia Beach, Va., when he began noticing slight pains his legs. He initially ignored the discomfort as he carried parts between the shop and the naval aircraft he maintained as an electronic technician first class. He kept working 10-hour days, even when veins started to protrude in his legs and a massage therapist noticed that his left leg was swollen. It wasn’t until about 10 years later, when his ankles turned dark blue and he found it painful to stand, that Chad consulted Dr. David Gillespie, chief of vascular and endovascular surgery at Southcoast. It turned out that Chad had a common and treatable problem. His varicose veins had caused chronic venous insufficiency, a condition in which blood pools in the legs because the valves in certain veins are no longer pumping blood to the heart. Varicose veins are most often seen as a cosmetic problem, Dr. Gillespie says, but men and women whose work demands long periods of standing — such as restaurant servers, fishermen, construction workers, doctors and nurses — can be susceptible to a painful form of the condition. 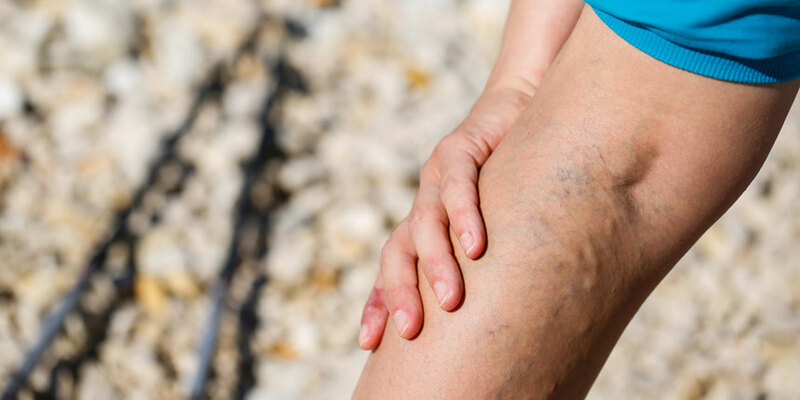 Varicose veins can limit their activity, cause absences from work and, in a small number of cases, be a sign of more serious problems, such as high cholesterol or heart disease. Left untreated, the discolored skin can develop painful ulcers that take months to heal. By the time Chad consulted Dr. Gillespie, he had retired from the Navy and moved to Portsmouth, R.I., with his wife and daughter. He was working on an oil drilling rig in the Gulf of Mexico, where he flew every other month for four-week shifts, working 12-hour days, seven days a week. 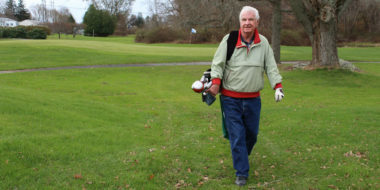 At the Southcoast Vein Center, Dr. Gillespie performed a venous scan with ultrasound technology designed to show the functioning of the valves in the veins. The scan used a catheter to reveal that the valves were not working in the great saphenous vein, which runs the length of the leg. Dr. Gillespie was able to immediately perform an ablation, using heat to seal the vein. Chad had his left leg treated first, and almost immediately felt relief. Dr. Gillespie performed four outpatient procedures on Chad between January and June 2016. Each ablation took a half hour, using only Novocaine and a sedative, and required about two days to recover. Dr. Gillespie followed the ablations with a Trivex procedure that removed smaller varicose veins with the help of a lighted wand inserted into the veins. Chad said his legs fully healed from the Trivex in four to five weeks. 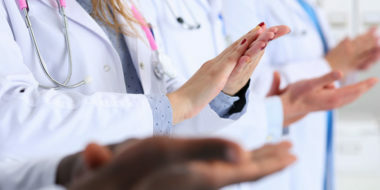 Dr. Gillespie says that patients and even other physicians often don’t understand how safe and relatively painless it is to treat debilitating vein disease. “I have people falling asleep during ablations,” he says. And treatments continue to improve. In 2018, Dr. Gillespie expects Medicare and private insurance providers to cover two new treatments that don’t require Novocaine or heat. The VenaSeal Closure System uses an adhesive to seal veins, and Varithena uses an injectable foam. 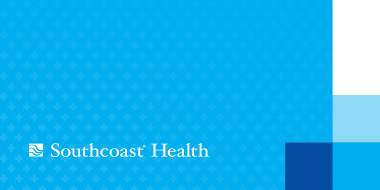 Both therapies are now available at the Southcoast Vein Center, but insurance does not yet cover them. Chad recommends that people not ignore vein problems in their legs. At age 49, he says he now can keep up with his 14-year-old daughter and join his wife, a Navy paralegal, on hikes and runs. Learn more about treatments for varicose veins at the Southcoast Vein Center.